This is a round Transports Citroen porcelain sign. This particular Transports Citroen sign is orange and brown. 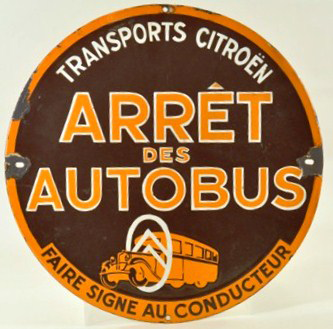 It reads, “Transports Citroen, Arret Des Autobus, Faire Signe Au Conducteur” and features an orange bus at the bottom.